The Louisville Plumber Who Cares! Fully Licensed and Insured. Proudly serving the Louisville Area for nearly 20 Years! here is how to get involved. Life is more than business relationships. At Overflow we like to leverage our business for the good of our community. The buttons below will bring you to organizations we like to work side by side with. There are countless ways that we can all make an impact together, why not start today? Continuing to serve as one of Louisville’s main safety nets, Wayside Christian Mission tackles the root causes of homelessness using a proven holistic approach. Alcoholism, substance abuse, domestic violence, mental illness, and a lack of education and/or vocational skills are among the leading causes of homelessness. By addressing the primary causes of homelessness in a nurturing, caring environment, those bound by poverty and addiction have been able to return to the community as sober, self-supporting citizens. Special Olympics is founded on the belief that people with intellectual disabilities can, with proper instruction and encouragement, learn, enjoy and benefit from participation in individual and team sports, adapted as necessary to meet the needs of those with special mental and physical limitations. Special Olympics believes that consistent training, with emphasis on physical conditioning, is essential to the development of sports skills, and that competition among those of equal abilities is the most appropriate means of testing these skills, measuring progress and providing incentives for personal growth. Special Olympics believes that through sports training and competition, people with intellectual disabilities benefit physically, mentally, socially and spiritually; families are strengthened; and the community at large, both through participation and observation, is united with people with intellectual disabilities in an environment of equality, respect and acceptance. Special Olympics believes that every person with an intellectual disability who is at least eight years old should have the opportunity to participate in and benefit from sports training and competition. Boldly sharing about what we believe. Growing together in God’s word through discipleship. Going out from UofL to the ends of the Earth. A three-day journey for Christians of any denomination, the Walk to Emmaus is designed to strengthen the faith of Christian people and, through their discipleship, strengthen their families, their congregations, and our world. The Walk to Emmaus offers today’s disciples an opportunity to rediscover Christ’s presence in their lives, to gain fresh understanding of God’s transforming grace, and to form friendships that foster faith and support spiritual maturity. 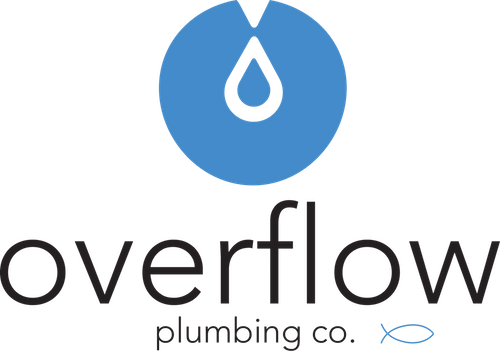 Overflow Plumbing is a Christian owned and operated full service plumbing contractor in Louisville, KY. Our company is a licensed and insured MBE organization that has been serving our community for over 15 years. We see ourselves as more than plumbers and we pride ourselves in our professional and ethical approach to business. Because of this we treat each project as a chance to better our community as well as to build lasting professional relationships. © , Overflow Plumbing Company.